You’re well known for applying Afro-Caribbean rhythms to the drumset, how did you first get introduced to the style? I grew up in Miami and like most other drummers I played rock – I was in underground bands, top 40 bands and stuff like that. I went to high school and maybe half of the student body was cuban. I was captain of the high school band which is how I met a great friend of mine, Tony Socarras. After high school, we kept in touch, and he called me one day to ask if I wanted to work weekends in a club right by the airport in Miami. I said, “Great lets do it, what kind of music is it?” He said, “It’s Cuban music!” which I had heard before but I didn’t have any idea what it was about at all. The keyboard player and leader of this band was a guy named Paquito Hechevarria. He was an incredible player and at that time he was being courted by people like Chick Corea to move from Miami to Los Angeles because he really was the s**t, seriously. Check out Conga by Gloria Estefan – there’s a great piano solo on that song, that’s Paquito. Like most Cubans, however, he wouldn’t leave his family so he stayed in Miami and took me under his wing. He gave me a record at that time, The Sun Of Latin Music by Eddie Palmieri, and he just told me to listen to it and learn what’s on it. I started to learn what was on the record – there was no drumset but I was playing drumset in the band. We had a great percussionist who played congas and so I was left to play everything else that I was hearing. I heard timbales, I heard bongos, I heard cowbells, I heard all kinds of things and I had to do all that. So, I just started to make up things to play – because there was no drumset and there was all this other percussion there was so much for me to be able to listen to and so much for me to want to cover. I invented a whole bunch of stuff for me to play and what happened is i got all these dance rhythms together. The great thing is that it worked. I was playing in this band and people were dancing to what we were doing. Of course, that’s the bottom line with this music. If people don’t dance to it then you’re doing something wrong. It’s not about chops, It’s not about playing clave with your foot, it’s not about any of that stuff – it’s all about making people dance. We had a ball and people danced man. We played a fusion of stuff – we would play top forty songs and then we’d go into this huge cuban jam where we would just kick it out. It gave me the opportunity to be creative and that started a whole part of my drumming career that has lasted until today. Did you seek out any teachers in this style? No, never. When I first starting playing this music in 76 or so there were no books about it. Well, there were a couple but the information in them wasn’t good – I remember playing some of the stuff and it didn’t sound anything like what I was hearing on records or from Cuba. The first time I went to Cuba was in 93. My teachers in this style have only ever been from Cuba and fortunately I’ve been there many times. I’ve been fortunate to watch and learn from the absolute best of the best. So, from being a young guy I didn’t take lessons from anybody as far as this style goes. I did all that any drummer can do which is listen to the records and figure out what you’re supposed to play. So you’ve been able to learn a lot from the local musicians in Cuba? Oh my god, sure man! Music is so important in Cuba and the level of musicianship is just incredible. People are shocked because it is such a high level. I’m very fortunate to know some of the great musicians in Havana and I’ve been on stage with many of them, watched them play and have learned so much. Every time I go, I learn something and It’s not just musical, It’s much deeper. It’s a deep experience being in a country that is driven by the drums as compared to say the US where the pop idiom is more guitar driven. In Cuba everything is driven by a rhythm, the clave, and along with that rhythm comes all the drums. When you are in a society that is so rhythmically oriented, it’s pretty deep for a drummer. When I left Miami, my friend Paquito told me to come back often for what he called a ‘Soul Vaccination’. Now, for me I go to Cuba for my ‘Soul Vaccination’. It’s an extreme experience for any drummer to be in that type of society. You recently released your dvd, The Latin Funk Connection, what’s inside? 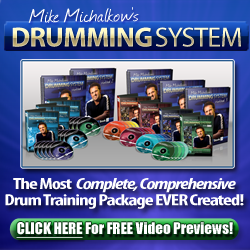 There are four chapters in the dvd and basically it’s all about how I learned to play the drumset using funk tunes that I had been listening to – particularly those featuring the great drummers, Bernard Purdie and Melvin Parker. The album just knocked me out and there was this one track that there were no backbeats being played by Melvin. He was playing 8th notes on the hi-hat and filling out all the e’s and a’s on the snare, accenting different strokes. To me it sounded like this Cuban stuff that I had been listening to and I must have made a connection. I started learning Melvin’s groove and then applying different Latin concepts to what he was playing and boom, it totally worked. I started playing it in clubs and people loved it – It sounded like this Songo thing that other drummers in Cuba were playing and so I describe that whole process on the dvd. I was also really into R&B and there’s a great record with Bernard Purdie on drums that’s called King Curtis, Live At Fillmore West. King Curtis’s band was the back up band for Aretha Franklin’s, Live At The Fillmore West so this is a very important concert. There were two albums recorded and Bernard basically defines everything on these recordings. There is one track called Memphis Soul Stew and Bernard gets into this groove that is just mind blowing – I still teach it to this day. The other two chapters in the dvd talk about the different creative ways I’ve used cuban patterns to come up with funk ideas. Half the dvd is about how I took funk to cuban and then the other half is the other way around. Hence, The Latin-Funk Connection. It was recorded all here in my studio and has received great feedback so far from the guys like David Garibaldi, Dennis Chambers, and James Gadson. Do you have any advice for drummers who want to get started with this style? Yes, get a cuban girlfriend! You know, I tell my drummers to go to some clubs and start to dance a little bit. I’m totally serious, No B.S! Other advice would be to get a teacher who can sit with you and listen to the music and show you how you’re supposed to play – here’s what you play for the verse, here’s the transition and here’s what you play for the chorus. Then back and forth, chorus-verse-chorus-verse. You need to listen to the music and hear it being played. More importantly is to listen to the music with someone who can tell you very specifically where beat one is. Most guys are used to two and four and they’re lost immediately, especially when they listen to some modern brazilian or cuban music. Make sure you know where one is and then you can build from there. So get out to some clubs and listen to some music then get with a teacher who has some patience and really understands this music.